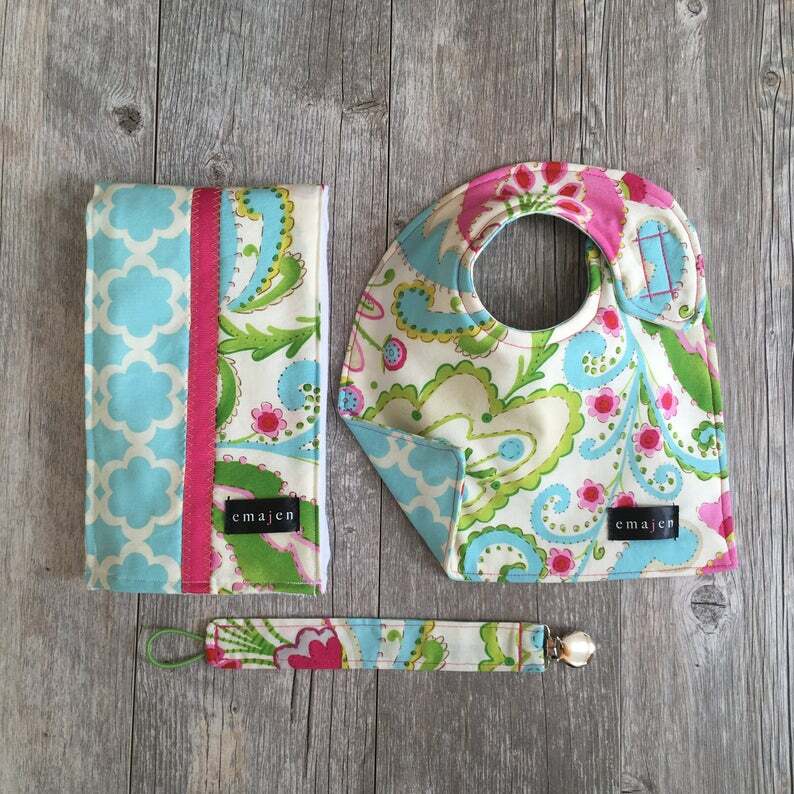 Bib+Burp+Bink Matching Set - Select your own fabric from the options listed in the picture - add your selection to the 'notes to seller' during the checkout process. -approximate dimensions: bib: 10" x 12"; burp cloth: 14" x 19"; pacifier clip: 11.5" x 1.25"
Love the items I purchased!! Beautiful workmanship, and fast shipping.